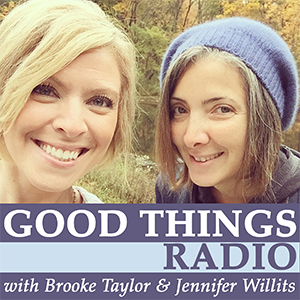 In episode 10 of Good Things Radio, Brooke and Jennifer discuss how they’re going to handle all the food prep for Holy Week, accommodate all their kids during the busy liturgical calendar, admit their true feelings for the Easter Bunny and why swimming in a public waterslide pool can be great germy fun! This entry was posted in Podcast and tagged Catholic Cuisine, dinner, Easter Baskets, Easter Bunny, Easter Sunday, Foot Washing, Good Friday, Holy Saturday, Holy Week, Passion of the Christ, Retreat, Swimming on March 31, 2015 by brooketaylor. This entry was posted in Podcast and tagged Annie, Books, Catholic, Citadel of the Soul, dinner, Donations, House Blessing, House hunting, Hundred Foot Journey, Palm Sunday, Retreat, Stitcher, Taxes, Unbroken on March 25, 2015 by brooketaylor. This entry was posted in Podcast and tagged autism, Catholic, Chick-Fil-A, Colorado, dinner, Florida, kids, Lent, Ohio, parenting, prayers, travel on March 6, 2015 by brooketaylor.